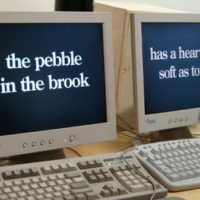 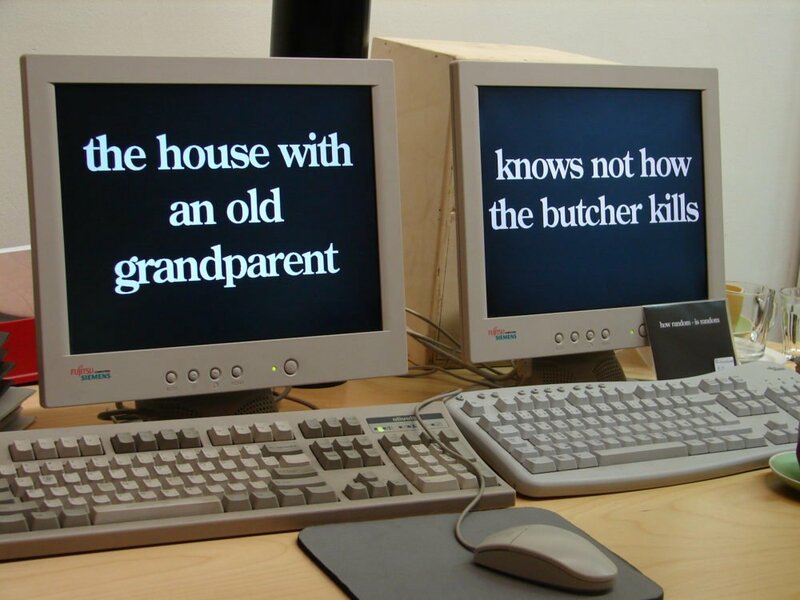 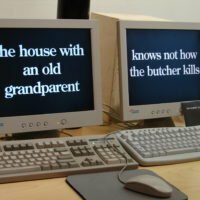 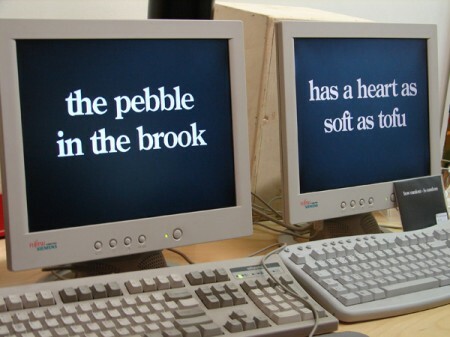 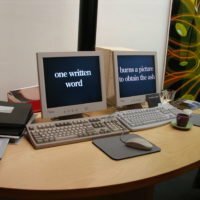 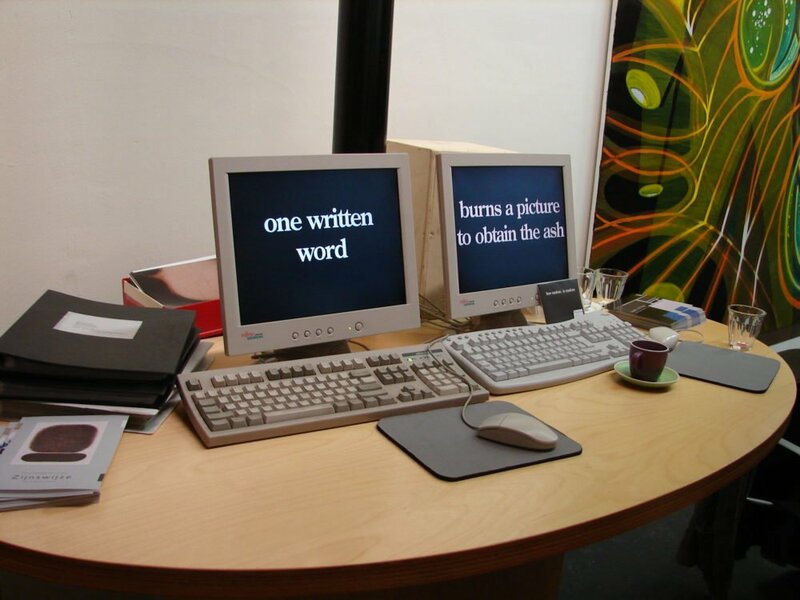 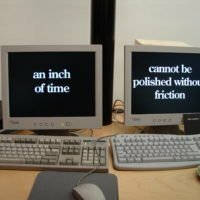 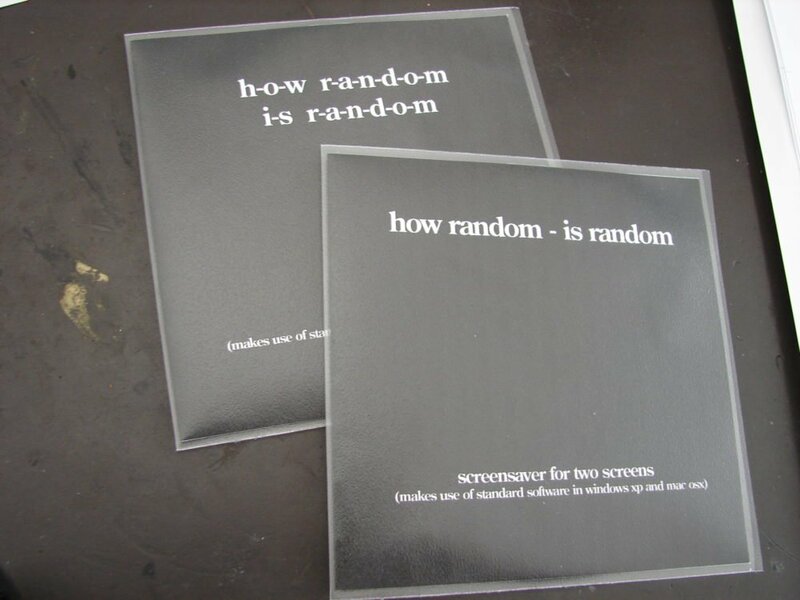 ‘How Random – Is Random (v1)’ is a screensaver installation designed for two computer screens. 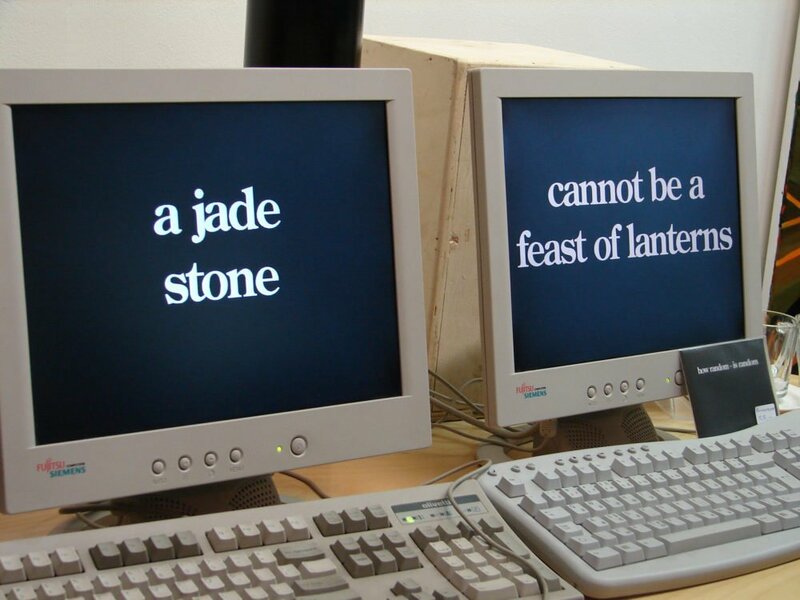 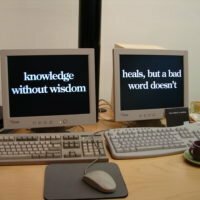 A large number of eastern proverbs, split in half, are randomly recombined to form new proverbs. 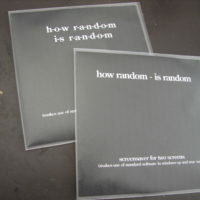 ‘How Random – Is Random (v1)’ was created as part of a WILLIE exhibition in KCO, Zwolle. 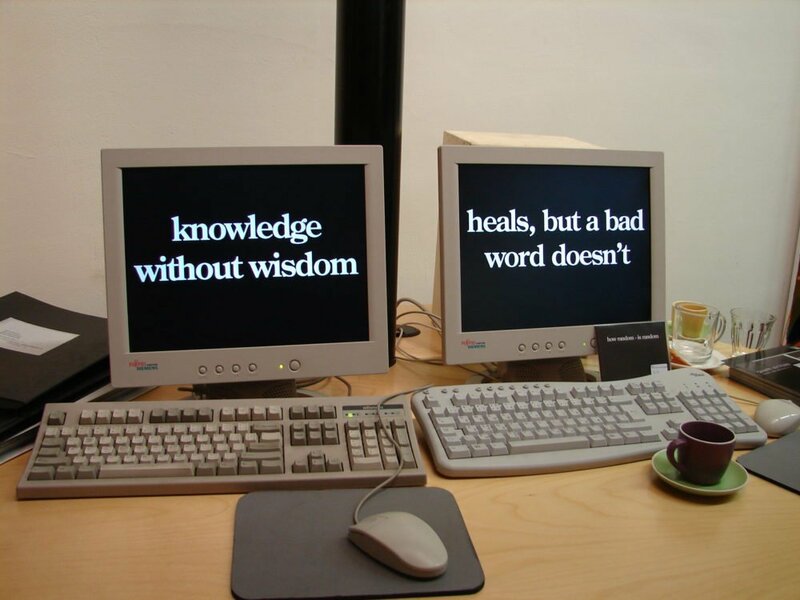 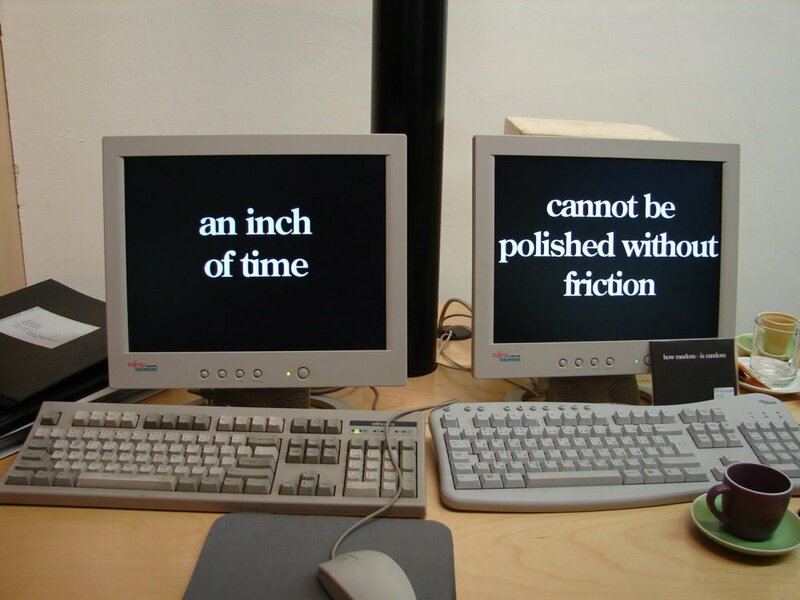 There are two fixed computer screens in the exhibition space of KCO, that have to stay in place and in use. 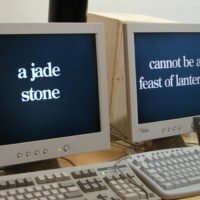 I decided to use them for my own purposes and make these screens part of the exhibition. 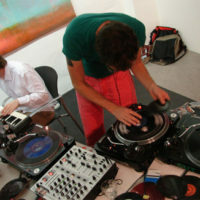 Other participating WILLIE artists are: Babet Olde Weghuis, Bart Folmer, Elio Debets, Maaike Folmer, Margot Olde Loohuis and Patrick Mangnus. 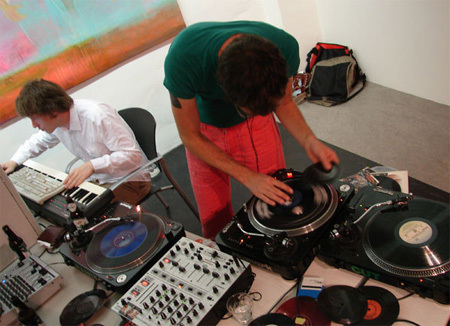 The exhibition was opened with a Jool Hul performance.